Today, the future home of Corktown Cinema is a bare space in the one time Lincoln Brass Works foundry, but by August the empty construction zone will be a 150-seat movie theater just south of Michigan Avenue on Rosa Parks Boulevard in Detroit. Corktown Cinema is the project of Jeff Else and Nathan Faustyn, two of the former owners of the Burton Theatre, an independently owned art house that abruptly shuttered last year due to a dispute with the theatre’s landlord. Since its sudden closing the Burton group has been operating “in exile,” showing unconventional films in unconventional spaces throughout Metro Detroit. Their next such offering will be held in the same complex at 2051 Rosa Parks Blvd that Corktown Cinema will eventually call home. In between preparing for that event, and finalizing the architectural drawings for Corktown’s new auditorium, the Cinema’s majority owner Jeff Else talked with the Woodward Spine’s Patrick Smith about Detroit film culture, found footage of dogs, serendipity and the theatre’s coming liquor license. Woodward Spine: Tell me a little bit about the upcoming event. Jeff Else: The event is on April 4 at 9 p.m., it’s going to be in a raw space in the complex where the cinema is going to be located. It is a traveling video art group called Everything is Terrible. This particular film “DoggieWoggiez! PoochieWoochiez! All Dogs go on Tour” is a remake of Alejandro Jodorowski’s 1973 masterpiece “The Holy Mountain” featuring all dog related found footage. It’s pretty bizarre and hilarious and the group comes in weird costumes and does an interactive show along with the showing of the movie. WS: How did you guys decide to try and open another theatre after The Burton closed? JE: There was no question in my mind that we would reopen because we had success. It wasn’t due to lack of success that we closed, it was strictly because of an unresolvable dispute with our landlord. And that’s just not a good enough reason to not continue, especially when it is such a somewhat singular offering in the city. It was really working, we just needed to find a new location and start again. 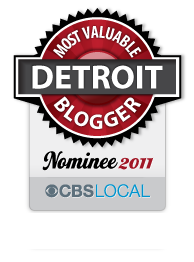 WS: What do you mean when you say it is a singular offering in Detroit? JE: There’s really nobody else offering what we are offering in terms of the particular selection of first-run independent stuff. The only really legitimate art-house theatre in Metro Detroit is the Detroit Film Theatre at the DIA, and that’s just a single screen, there is plenty more stuff to choose from. WS: I know you were hoping for Corktown Cinema to be open by now, have the delays in construction been frustrating? When do you expect to be open? JE: Its kind of hard to say, but three or four months it almost certainly will be done, so like mid summer. It really hasn’t been frustrating. Our new landlord and the developer is so above-board with everything and we’ve been doing everything by the book in a good way, in the sense of making contracts and doing everything legitimately which is at times a lengthy process. WS: The Burton had a very specific charm to it, are you trying to replicate that charm with the Corktown or are you going for something new? JE: It’s not going to have that particular charm of being in a once-abandoned grade school auditorium, but the auditoriums of the Corktown should be more technically up to date with better presentation and we’ve got a decent amount of funding going into this, so it will be classy and more elegant than the old space. We want to outdo ourselves and make it a better operation than we had. WS: You talked about your funding; you and Nathan Faustyn have two new business partners in the Corktown Cinema, Scott Griffin and Angel Gambino, who also own the complex you’ll be in, tell me about how you got in contact with him. So Scott sent us an email saying that he wanted to meet and talk about investing in us the day after we closed the Burton. So we sent him an email and told him the story and he was completely unfazed and said ‘ok well lets meet up and talk about what we can do.’ I think in Detroit he really wants to build something with some cultural value, so the complex is going to have the theatre but it also is going to have an art gallery and its going to be kind of a continuous space with a couple other independent cultural retailers like book stores and record stores, stuff like that. WS: Have you heard from people clamoring for you to come back? JE: If people I encountered on a daily basis throughout the city weren’t both extremely disappointed when the Burton closed and very adamant about wanting us to reopen and weren’t telling me how much they liked what was going on there then I wouldn’t be interested in opening another theatre. But it’s the kind of thing where we made an impression. It was a place that for as briefly as it was open-a year and a half-was starting to just become a spot where it was in people’s repertoire of fun things to do. So that’s probably why I want to do it, because it’s nice to be part of a community like that. WS: Besides the mid-summer opening, what are your plans for the future of Corktown Cinema? JE: We are planning on our first auditorium being 120 to 150 seats and then down the road there are plans for another larger 250-or-so-seat theatre. When we open we will have a liquor license and we will still be selling Pete’s Chocolates. This entry was posted in Detroit, Things To Do, TV/Film and tagged burton theatre, corktown, corktown cinema, detroit, film, Michigan, movies, theatre. Bookmark the permalink.